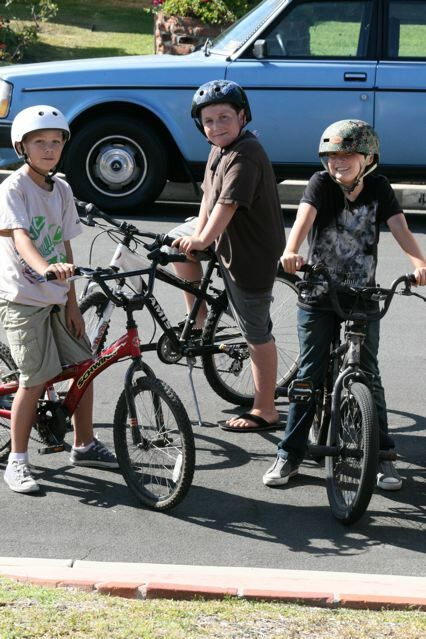 After school, the first week of school, Nick, Jack, and Dane decided to go on a little bike ride around the block. 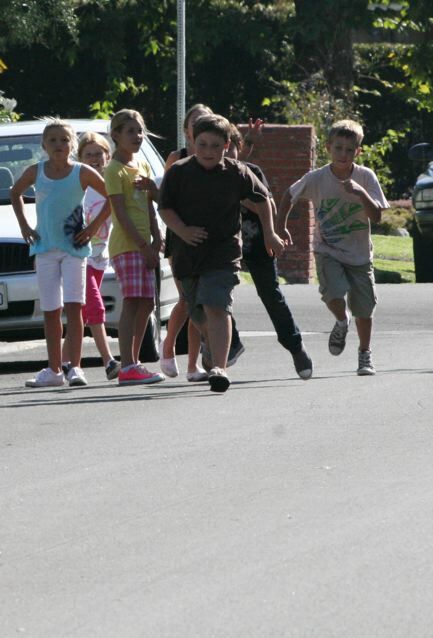 They found waaaay more than they bargained for….5 girls were playing in the frontyard of a neighbor’s house. The girls asked the boys if they wanted to play cops and Robbers…..after a rules briefing the game was on! Oh what fun. 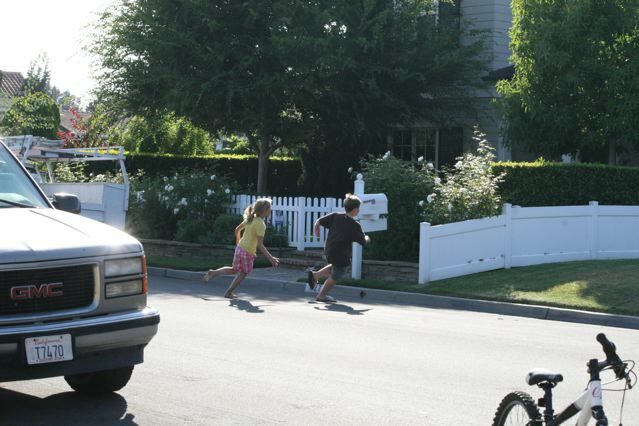 The boys chased the girls, then the girls chased the boys. A fine, fine ending to the first week of school!